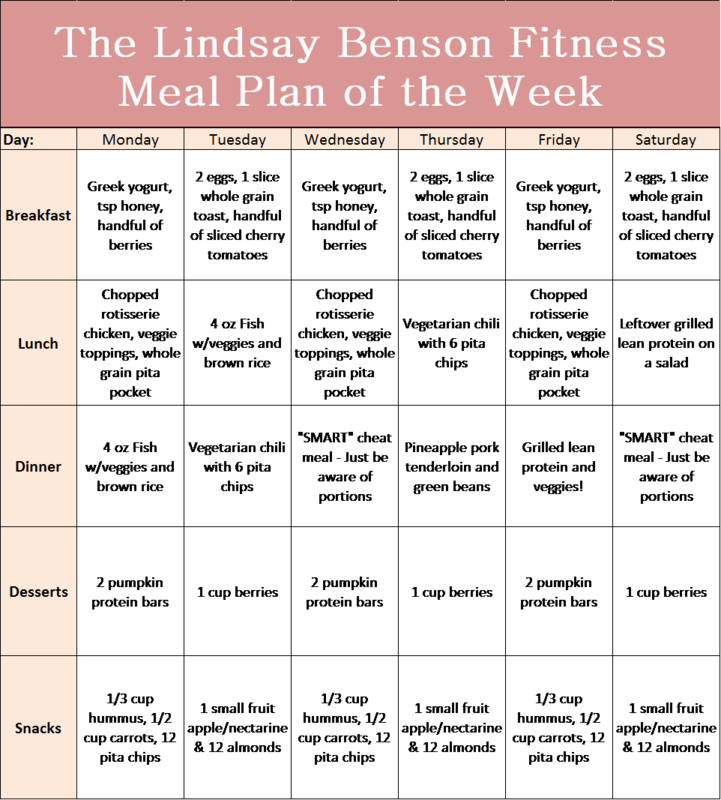 I was out of town for a wedding so I’m posting this a little later than I would have liked, but here is this week’s meal plan! Some followers of my Facebook page had shown interest in my meal plans. Let me know if this is helpful I’ll keep on sharing them! This particular plan leaves a lot of room for some creativity, because I know everyone has different preferences. For example, there is fish for dinner on Monday night, but I didn’t include what type of fish…just pick something you enjoy! The recipe for the chili is here. And this is the link for the pumpkin protein bars. The rotisserie chicken is referring to the pre-cooked ones you can get at the store! If your grocer doesn’t have them then any chicken will do. I recommend making the pumpkin protein bars ahead of time so they are ready to go! Make sure you are considering how many servings you need based on how many people are in your family when you go grocery shopping. Let me know if you have any questions! !